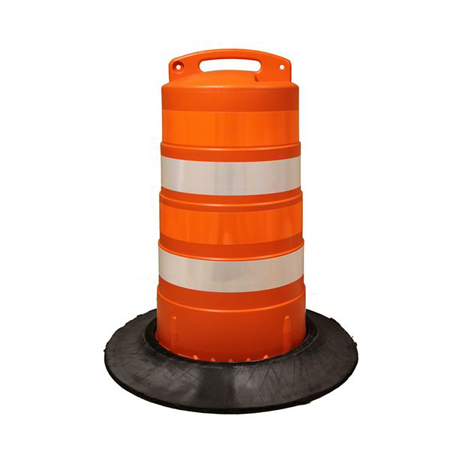 OTHER FEATURES Meets MUTCD specifications -18" minimum diameter. Two piece break-away construction. Built in anti-roll design able to display one or two type "A" or "C" lights . Large built-in handle for easy maneuverability.